The Flow Corryong PG Open 2018 About Event Corryong Paragliding invites all Paragliding pilots for 7 days to compete in one the best Alpine flying areas in Australia the Mt. Elliot, starting 14th January! The Corryong Open, with 250 WPRS points available, is a high level AAA/CAT2 competition which is sanctioned by the HGFA and it is aimed at experienced inland intermediate to advanced rated pilots. If you are a pilot that fits to this category, it would be a magical experience for you to fly on this extraordinary mountain. Event Dates This event starts on 14th of January and ends on 21st of January About Location Mt. Elliot, Corryong, Australia Mt. Elliot is the regular location for Corryong Cup and Victorian open. This mountain flying is the best around. The valley system makes the flying exceptional and retrieves quick and easy. To make it more clear for those who have never been to Corryong, it is located just a few thermal glides from Mt Kosciuszko, which is the highest mountain in Australia. Mt. Kosciuszko is where the very first Australian Paragliding Nationals were hosted here in Thredbo 1990. Back then, the competition task was flown from the top of the mountain which is 2200 metres. About Paragliding & Tandem Paragliding Paragliding is an extreme sport that takes you off the ground and fly like a bird! Those who never had the taste of paragliding can start with what is called Tandem Paragliding. In tandem paragliding you will be flying with a pilot who is controlling the wings. This way, it will be much safer for inexperienced users. Corryong Paragliding invites all Paragliding pilots for 7 days to compete in one the best Alpine flying areas in Australia the Mt. Elliot, starting 14th January! The Corryong Open, with 250 WPRS points available, is a high level AAA/CAT2 competition which is sanctioned by the HGFA and it is aimed at experienced inland intermediate to advanced rated pilots. If you are a pilot that fits to this category, it would be a magical experience for you to fly on this extraordinary mountain. Mt. Elliot is the regular location for Corryong Cup and Victorian open. This mountain flying is the best around. The valley system makes the flying exceptional and retrieves quick and easy. To make it more clear for those who have never been to Corryong, it is located just a few thermal glides from Mt Kosciuszko, which is the highest mountain in Australia. Mt. Kosciuszko is where the very first Australian Paragliding Nationals were hosted here in Thredbo 1990. Back then, the competition task was flown from the top of the mountain which is 2200 metres. Paragliding is an extreme sport that takes you off the ground and fly like a bird! Those who never had the taste of paragliding can start with what is called Tandem Paragliding. In tandem paragliding you will be flying with a pilot who is controlling the wings. This way, it will be much safer for inexperienced users. Adventure at Mechuka invites all paragliding pilots for 3 day paragliding adventure starting at 23rd of November 2017. This event is organized every year in partnership of Ministery of Tourism of India and Arunachal Pradesh. This year event is celebrating 5th year and activities will be available between 23rd of November and 25th of November, not only for paragliding pilots but for all kind of adventurists. At northeastern range of Himalayas, this region is one of the less explored areas and offers many natural beauties such as cascaded waterfalls, rivers where you can see crystal clear waters flows in stony river beds and beautiful Mechuka Valley for paragliding pilots! You can visit The Samtem Yongcham Monastery which is believed to be more than 400 years old while you are around. Don’t forget to see Siyom River running from the valley. If you happen to be in India in the end of November, why don’t you take a look at the official event web site and get in touch with the organizers? You can go to the official web site here and facebook page here. Mechuka is located in Mechuka Valley in Arunachal Pradesh, India. This small village is above 6.000 feet from sea level and is home to Memba and Adi Tribes. Town is also known with the name of Menchukha. You can find detailed information in here. Paragliding is a nature and extreme sport where pilot take-offs from a hill, mountain or from ground by special TOW equipment and can fly for long times. Paragliding offers a great flying adventure since you can enjoy the flight without any engine sound. You can find detailed information at our Flying Mammut Learning Center via links below! From Blog: All You Need To Know About Paragliding! From Blog: All You Need To Know About Tandem Paragliding! AFF Course in Spain Seville Europe Between 27 November - 02 December You were looking for an AFF Course in Europe? Good news is we have what you need for. Our partner Fly'n'Friends offering exclusive AFF school camp for 5 people in Seville Spain at the end of November. If you are willing to learn skydiving and go solo for the rest of your life, this is where you need to start. Please note that they have got limited seats and first comes first served ;) You are eligable if you are; Over 18 Years of Age Have medical certificate in which is stated that you are healthy and able to skydive They are offering; Professional and experienced instructors Jumps from 4600m AGL, the highest altitude in Europe International licenses USPA All the jumping equipment will be offered AFF manual, Googles, log book, 3’rd party insurance Briefing and debriefing using videos from the jumps Videos with all of your jumps Cost: 1650 EUR When: 27 November 09:00 - 02 December 17:00 2017 Country: Spain Location: Seville For: AFF Course Book NOW! 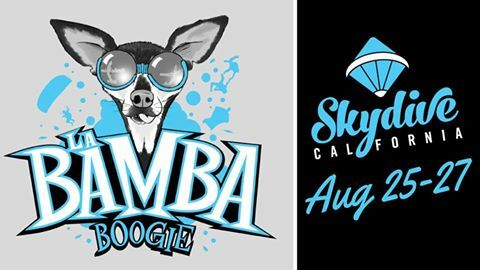 Skydiving - August '17 Boogie at Skydive California California and boogies! What a great combination! If you are able to skydive, consider this event organized by Skydive California. They say Caravan and Twin Otter will be flying around and giving green light around for who would like to jump out of planes. Freefly Organizers are Devin & Ben Roane and Belly Organizer is Tracy Bohm. More details and updates are available in the link below. When: 25 - 27 August 2017 Country: United States Location: Skydive California, California For: Solo Skydiving, Boogie Visit Facebook Event Page! California and boogies! What a great combination! 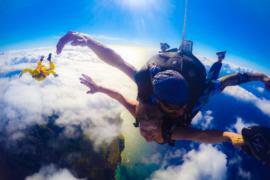 If you are able to skydive, consider this event organized by Skydive California. They say Caravan and Twin Otter will be flying around and giving green light around for who would like to jump out of planes. Freefly Organizers are Devin & Ben Roane and Belly Organizer is Tracy Bohm. More details and updates are available in the link below. Hot Air Ballooning - September '17 Hot Air Balloon Festival 2017 Autumn Aloft Hot Air Balloon Festival invites all sky lovers and photographers for unmatched visual experience in Park City, Utah, United States. Event is free to spectators yet there will be no balloon rides available. Photographers are invited to join the photo contest during the event. 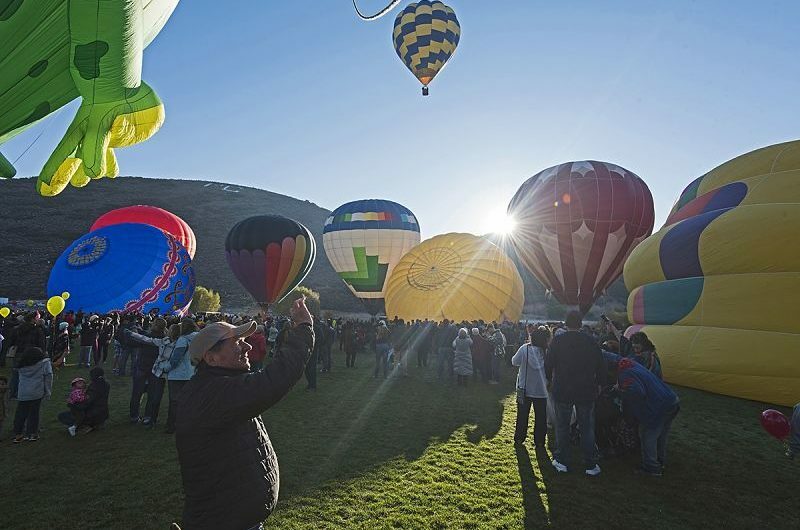 If you are around Utah in September, stop by for this wonderful event in Park City and enjoy the hot air balloons flying together in harmony in this classical event! When: 16-17 Spetember 2017 Country: United States Location: Park City, Utah For: Hot Air Ballooning, Photography Visit Official Event Page! 2017 Autumn Aloft Hot Air Balloon Festival invites all sky lovers and photographers for unmatched visual experience in Park City, Utah, United States. Event is free to spectators yet there will be no balloon rides available. Photographers are invited to join the photo contest during the event. If you are around Utah in September, stop by for this wonderful event in Park City and enjoy the hot air balloons flying together in harmony in this classical event! Hot Air Ballooning - August '17 Hot Air Balloon Festival Hot Air Balloon Festival in Treviso, Italy will be held between 26th of August and 3rd of September this year. Treviso will welcome all balloonists, campers, adventurists, photographers and families to enjoy this big event. Visitors will be able to see both Italian and Foreign Balloons during the festival in addition to cultural, educational and recreational exhibitions and activities. Festival delle Mongolfiere di Treviso will be spectacular this year! Visit their events page for more details! When: 26 August - 03 Spetember 2017 Country: Italy Location: Treviso For: Hot Air Ballooning, Photography Visit Facebook Event Page! Hot Air Balloon Festival in Treviso, Italy will be held between 26th of August and 3rd of September this year. Treviso will welcome all balloonists, campers, adventurists, photographers and families to enjoy this big event. Visitors will be able to see both Italian and Foreign Balloons during the festival in addition to cultural, educational and recreational exhibitions and activities. Festival delle Mongolfiere di Treviso will be spectacular this year! Visit their events page for more details! 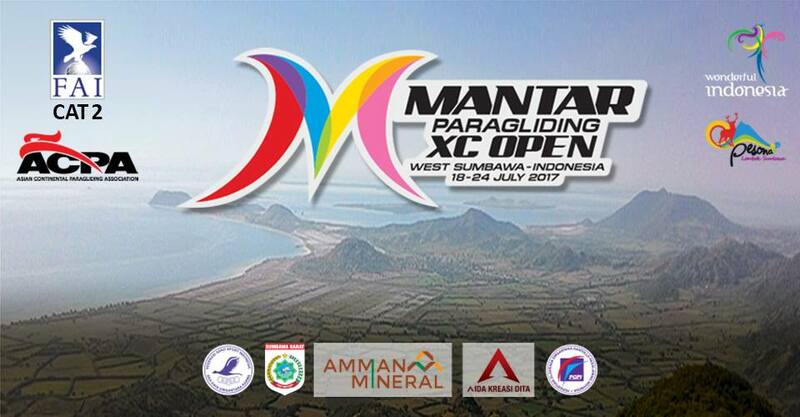 Mantar Paragliding XC Open :: An ACPA Exhibition Event ACPA welcomes you to wonderful Indonesia for flying in Mantar Hill in July. Professional pilots and fun flyers are welcome! When: 18 - 24 July 2017 Country: Indonesia Location: Mantar Hill, West Sumbawa For: XC Paragliders, Fun Flyers Visit Official Event Page For Registiration and Details! Visit Facebook Event Page! ACPA welcomes you to wonderful Indonesia for flying in Mantar Hill in July. Professional pilots and fun flyers are welcome! Visit Official Event Page For Registiration and Details! Acro GAME 2017 Save the date and be prepared for the toughest Acrobattle of the year! In the last week of July (24th-30th) the world’s very best pilots challenge each other in a new competition concept in Organyà. 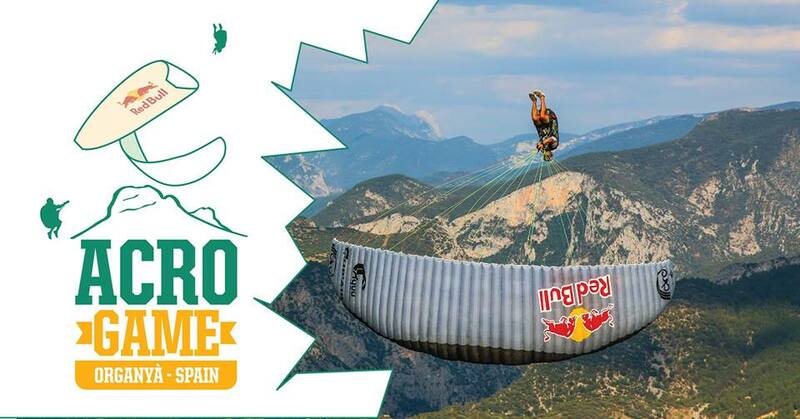 When: 24 - 30 July 2017 Country: Spain Location: Orgañá, Cataluna, Spain For: Acro Paragliders, Freestyle, Single Paragliders Visit Event Page! Save the date and be prepared for the toughest Acrobattle of the year! In the last week of July (24th-30th) the world’s very best pilots challenge each other in a new competition concept in Organyà. 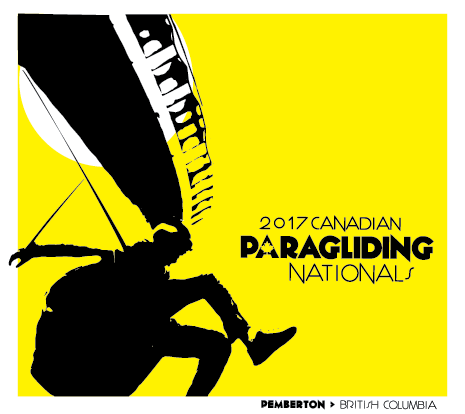 Canada Paragliding Nationals 2017 This year the Canadian Paragliding Nationals are taking place in Pemberton, BC. Pemby -as locals know it- is located only 20-min drive north of Whistler and 2.5hrs from Vancouver. This Canadian village provides one of the most jaw-dropping settings for the sport of Paragliding. When: 22 - 28 July 2017 Country: CANADA Location: Pemberton, BC For: Single Paragliders This event is added by Sea To Sky Paragliding! This year the Canadian Paragliding Nationals are taking place in Pemberton, BC. Pemby -as locals know it- is located only 20-min drive north of Whistler and 2.5hrs from Vancouver. This Canadian village provides one of the most jaw-dropping settings for the sport of Paragliding. This event is added by Sea To Sky Paragliding! 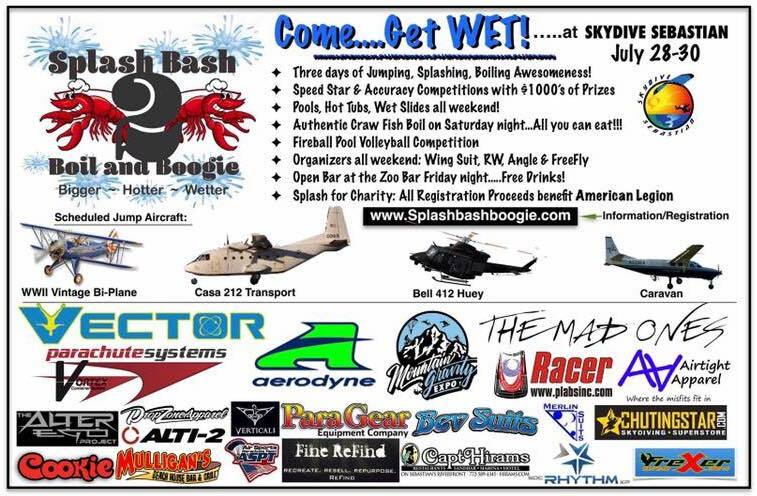 Splash Bash Boogie 2 When: 28 - 30 July 2017 Country: UNITED STATES Location: Sebastian, Florida For: Solo Skydivers This event is added by Jeff Holmstock! This event is added by Jeff Holmstock!